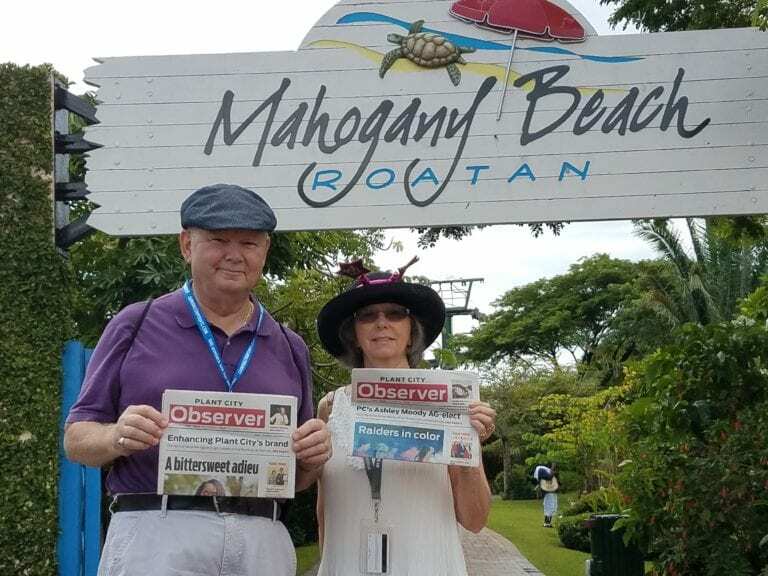 Tom and Debbie Lawson brought the Observer on a cruise in November 2018. Tom and Debbie Lawson spent the week of Thanksgiving on a cruise, visiting places such as Roatan, Cozumel and Belize. The Plant City residents brought a couple Observer issues for the trip.